The Middle Tennessee State Blue Raiders (4-11, 0-3) hosted the Southern Mississippi Golden Eagles (8-9, 2-2) on Sunday afternoon. 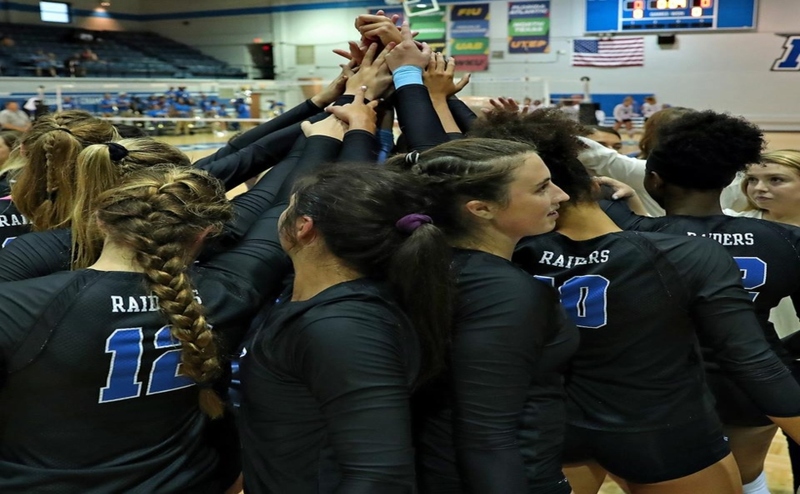 Despite an intense opening set that resulted in extra points, the Blue Raiders were defeated in straight sets. The team maintained control throughout the first set despite struggling early on. They eventually held a 5-1 run and stayed within a point of Southern Miss., but it was the Golden Eagles that came out on top with a 28-26 win to make a statement early in the match. 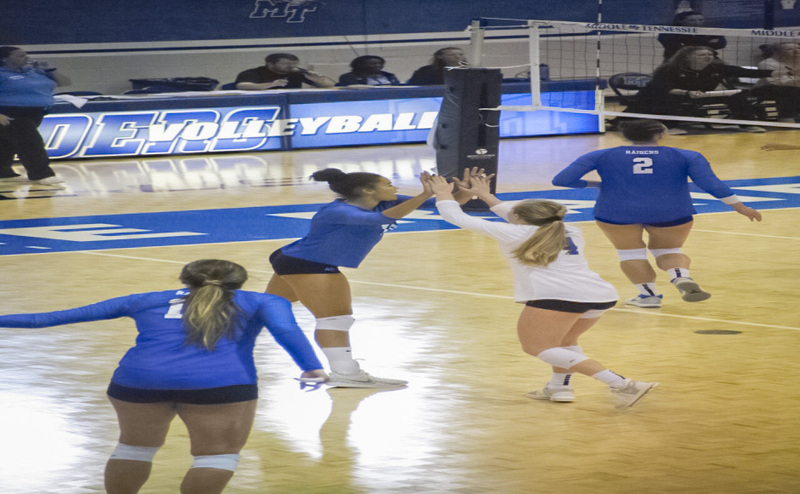 MTSU was off to a strong start in the second set as they gained momentum with an early 6-1 lead, but several errors helped USM ultimately regain control and pull away to win it 25-19. Both teams had a slower start in the final set, but the Eagles maintained a steady lead. The Blue Raiders struggled to hold on, which resulted in a 25-18 victory for Southern Mississippi. The Golden Eagles were led by seniors Kylie Grandy with nine kills and Sarah Bell with 23 assists and 12 digs. 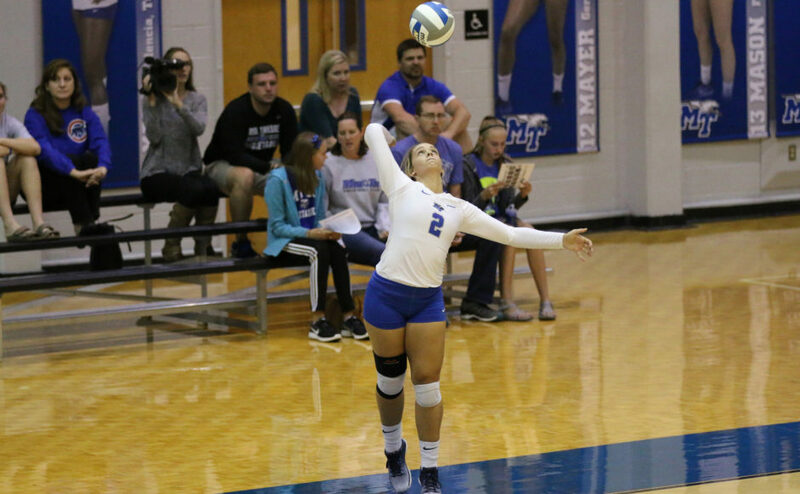 MTSU juniors Taylor Hammill and Brienna Tankesley took control of the Blue Raider defense with a combined total of 28 digs. Hammill also contributed 30 assists. Senior Bailey Mason dominated the offense with 11 kills, followed by junior Dora Peonia with nine. 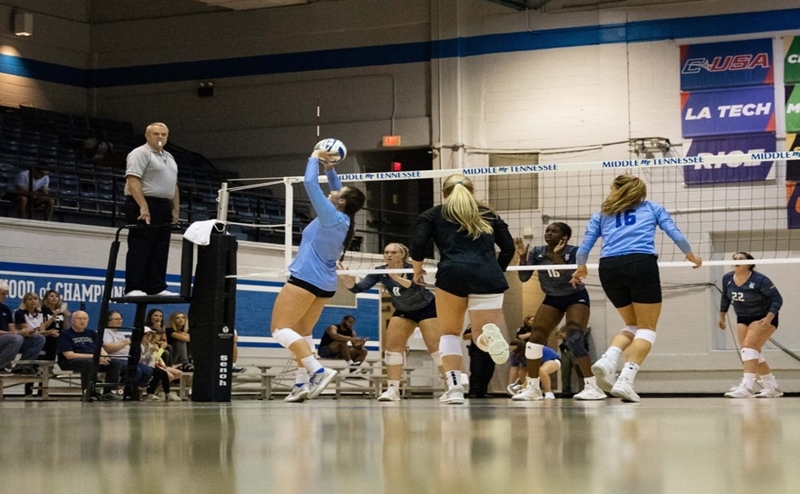 While Mason and Peonia made their presence known throughout all three sets, the Blue Raiders walked away with 32 total errors, compared to just 14 for the Golden Eagles. 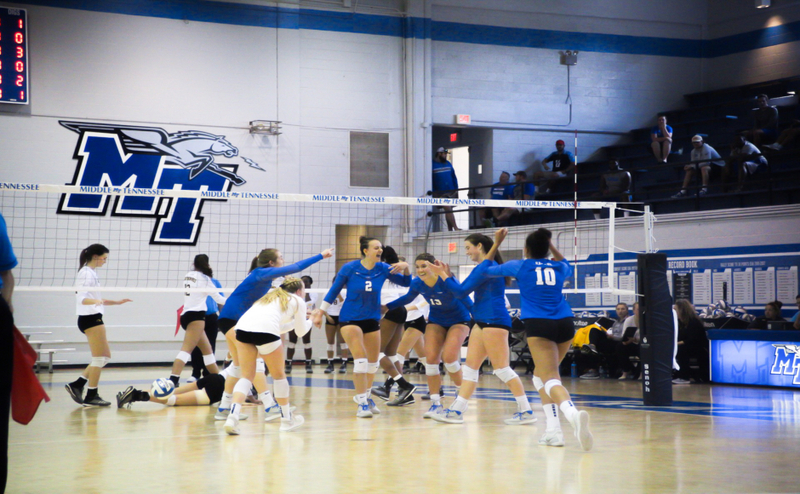 The Blue Raiders will travel to Nashville to take on the Tennessee State University Tigers (6-8) on Tuesday at 6 p.m. They will return to C-USA play at home against the Rice University Owls (12-4, 3-0) at 7 p.m. Friday, as they hope to clench their first conference win of the season.